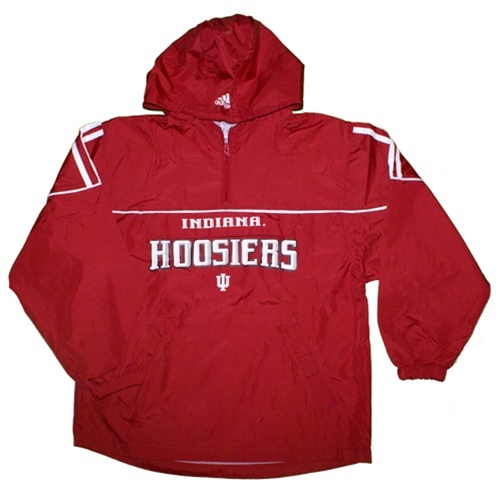 This stylish 1/4 zip pullover hooded windjacket features contrast white piping and a front zipper pocket. There are also side pockets with velcro seals. 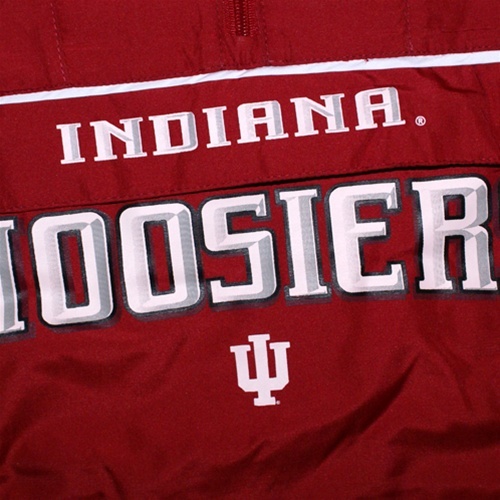 The Indiana HOOSIERS graphic is nicely screened across the front. 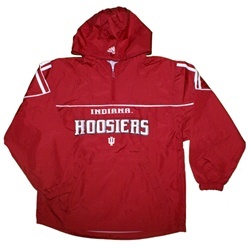 Perfect for layering at games!